This project provides a solution which includes both hardware and software for the management, monitoring, energy control and metering of community installations of air-conditioning systems and hot water, adapting it in a personalized and user-friendly way to the needs of each user of the service: final user, maintenance/management service of the installation and owner. 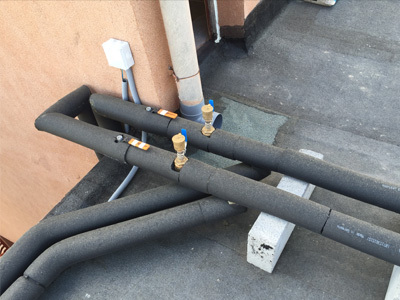 The main aim of the project is the development of an energy management system for air conditioning and hot water common systems in large commercial or residential buildings, which are the ones consuming more energy. Energy resources that the system takes into account are gas, electricity and solar energy, in addition to pricing and economic factors related to their use and consumption. The proposed solution includes different equipment in the systems and users’ applications for the management, monitoring, energy control and metering of community installations of air-conditioning systems and hot water, adapting it in a personalized and user-friendly way to the needs of each user of the service: final user, maintenance/management service of the installation and owner. GICCACS platform for the monitoring, energy control and metering in community air conditioning and hot water systems: areas of the installation. This makes it possible to verify how energy consumption changes when connecting the different elements of the system, and how it affects its daily, weekly and monthly cost. This platform has field and communication equipment and a web application which allow users to monitor and manage the entire platform by users. Development of energy metering and data collecting equipment in energy generating systems, such as the solar one. 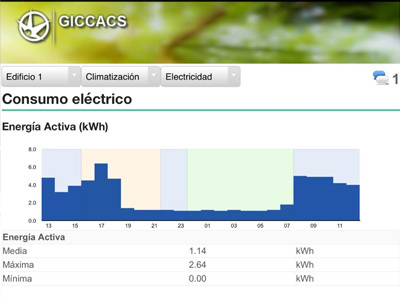 The system has been tested and validated in a real environment, since the case area is the hot water, air conditioning and solar energy system of an educational complex in Castellón and it has been successfully completed the implementation of the developed prototypes of the project, which form the platform or global system GICCACS. The project was funded by the Ministry of Industry, Energy and Tourism and the ERDF, through the funding programme for Innovative Business Groups of 2015.